As the U.S.S. Cole attack vividly demonstrated, there is a clear need to close security gaps and enhance the small vessel security environment. 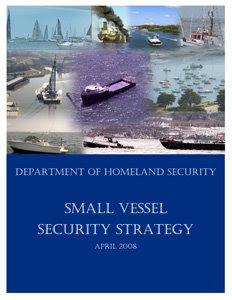 The Department of Homeland Security (DHS) Small Vessel Security Strategy (SVSS) addresses these concerns, providing a coherent framework to improve maritime security and safety. The complete stratgy, in pdf format, can be viewed here. Law enforcement agencies face the challenge of distinguishing between the vast number of legitimate vessel operators and the relatively few individuals engaged in illicit activities. The challenge is immense, as it involves nearly 13 million registered U.S. recreational vessels,2 82,000 fishing vessels, and 100,000 other commercial small vessels. 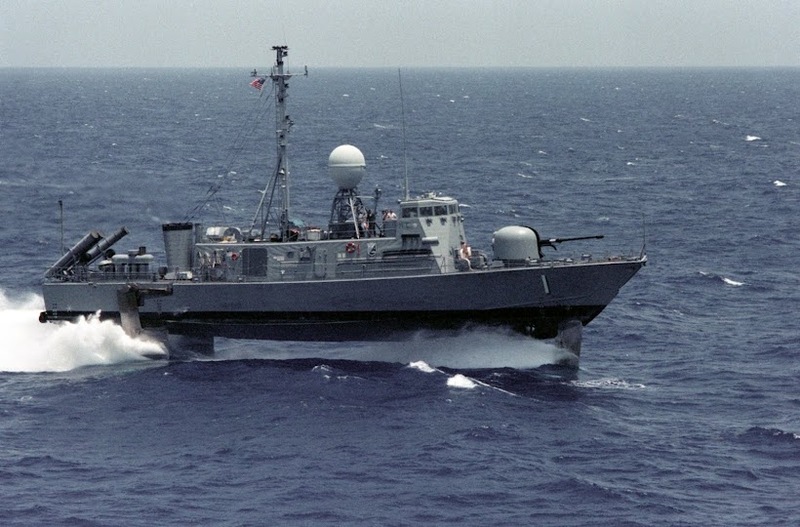 On any given day, a considerable number of these boats share waterways with commercial and military traffic, operating at hundreds of U.S. ports and in the immediate vicinity of critical maritime infrastructure, including bridges and waterfront facilities such as petrochemical plants. More information concerning small vessels is needed to improve the proper assessment of the risk posed by these vessels. The challenge is to balance the collection of requisite information necessary for proper assessment of risk posed by these vessels, with the freedom of the seas expected by the small boating community. Small vessels are characterized for the purposes of this strategy as any watercraft—regardless of method of propulsion—less than 300 gross tons, and used for recreational or commercial purposes. Small vessels can include commercial fishing vessels, recreational boats and yachts, towing vessels, uninspected passenger vessels, and any other personal or commercial vessels involved in U.S. or foreign voyages. 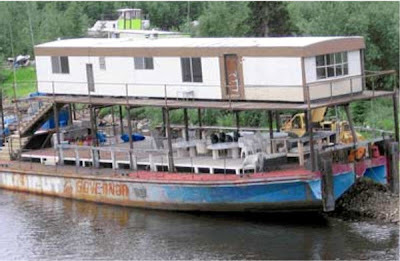 As boating season approaches, the Bush administration wants to enlist the country's 80 million recreational boaters to help reduce the chances a small boat could deliver a nuclear or radiological bomb along the country's 95,000 miles of coastline and inland waterways. According to a Wednesday intelligence assessment obtained by the Associated Press: "The use of a small boat as a weapon is likely to remain al-Qaeda's weapon of choice in the maritime environment, given its ease in arming and deploying, low cost, and record of success." The millions of humble dinghies, fishing boats, and smaller cargo ships that ply America's waterways are not nationally regulated as they buzz around ports, oil tankers, power plants, and other potential terrorist targets. The United States has spent billions of dollars constructing elaborate defenses against the giant cargo ships that could be used by terrorists, including strict regulations for containers and shipping. The only way to police the waterfront, said maritime security expert Stephen Flynn, "is to get as many of the participants who are part of that community to be essentially on your side." Flynn, a fellow with the Council on Foreign Relations, said treating boaters as allies instead of a threat would go a long way. Allen says the boater who is on the water every weekend knows where people fish and when a boat near a piece of critical infrastructure looks out of place. Any day of the week is a good day to head to Fred Fry's Maritime Monday 108 over at gCaptain.com. Fred has great pictures of very large Norwegian ships and links to more maritime stuff than you can point and click at in one day. Fred also points out the way to a "high speed transit" of the Houston Ship Channel. 500 knots? I don't know, but it covers the upper channel. More bridges than I remembered. The work is by OneEighteen. Another form of high speed linked to by Chap here. I think I would wear a helmet and face shield...or at least goggles. Underground facilities are also found at bases supporting other aircraft, including the three mentioned in the Times' story. Incidentally, those installations have been around for years, and they serve (primarily) as forward bases for AN-2 Colt biplanes, used as an insertion platform for North Korea's massive special operations forces. Prior to an attack against the south, the AN-2s would arrive at the forward airfields, allowing local SOF units to deploy on the aircraft. Dadmanly discusses litigation being brought against the VA and finds some bias. Okay, a lot of bias and misrepresentation. Odd media events noted at InstaPunk. 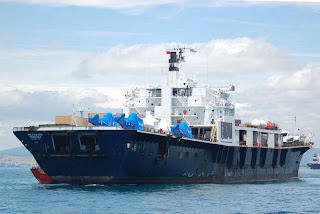 The Patrawarin 2 was on passage from Rayong carrying 2,000 tonnes of A-1 jet fuel for Phuket when the six-strong armed gang boarded from a speedboat in the Straits of Malacca off Singapore on Thursday. They threatened the five Thai crew members at gun point, handcuffed them and robbed them of a total of baht600,000 (US$18,900) in cash and valuables. Sunday Ship History (late edition): Who was Carl Vinson? At the end of World War I, Japan had allied herself with the Allied Powers and ended up gaining former German possessions in the Pacific, the northern Marianas, the Marshall and Caroline Islands (the "mandated islands"). 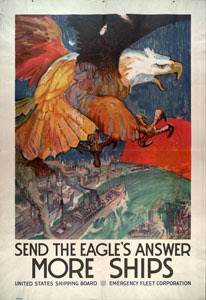 President Wilson, protesting these gains, supported the growth of the U.S. Navy in a massive ship building campaign, at least part of the purpose being to be able to defend U.S. interests in the western Pacific. But these great shipbuilding plans came to naught, because it was the 1920's and despite the recent end of the first world war, isolationists held sway the United States - seeking to have the U.S. keep out of other people's affairs. Demanding peace and supporting the idea that one way to keep peace was to disarm and to agree with others for them to disarm. 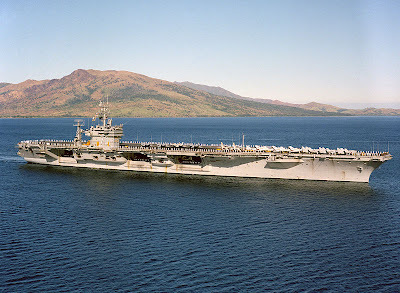 However, any of the Contracting Powers may, provided that its total tonnage allowance of aircraft carriers is not thereby exceeded, build not more than two aircraft carriers, each of a tonnage of not more than 33,000 tons (33,528 metric tons) standard displacement, and in order to effect economy any of the Contracting Powers may use for this purpose any two of their ships, whether constructed or in course of construction, which would otherwise be scrapped under the provisions of Article II. The armament of any aircraft carriers exceeding 27,000 tons (27,432 metric tons) standard displacement shall be in accordance with the requirements of Article X, except that the total number of guns to be carried in case any of such guns be of a calibre exceeding 6 inches (152 millimetres), except anti-aircraft guns and guns not exceeding 5 inches (127 millimetres), shall not exceed eight. 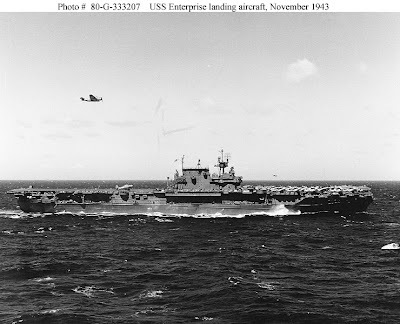 Saratoga, the first fast carrier in the United States Navy, quickly proved the value of her type. 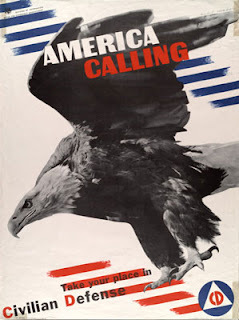 She sailed from Philadelphia on 6 January 1928 for shakedown, and, on 11 January, her air officer, the future World War II hero, Marc A. Mitscher, landed the first aircraft on board. Lacking a strong navy and an interventionist Far Eastern foreign policy, the United States was now dependent upon a treaty to stem Japanese expansionism. U.S. policy makers had failed to recognize the value of Far Eastern outposts as a bargaining chip in future negotiations with the Japanese. Being a Far Eastern power, Japan had bases within easy steaming distance of any potential area of confrontation. By contrast, the United States could reinforce its outposts on Wake Island, Guam, and the Philippines only after a long and dangerous voyage from San Diego, the main fleet base on the West Coast. Consequently, America needed strong outposts in the Pacific far more than the Japanese. Without such outposts, American strategists were forced to adopt a holding strategy for the defense of America's Far Eastern possessions. An impossible situation in grand strategy had been created for us, largely by our own folly. We were promising to defend the integrity of China and of the Philippines, without anything near the military means to implement such a policy. Japan invaded Manchuria and Shanghai in 1931. The U.S., instead of arming to the teeth, issued strong protests.The Japanese withdrew from the League of Nations and renounced the Washington Treaty. In the United States, Franklin Roosevelt was elected president and in 1931, Carl Vinson, a congressman from Georgia, became the Chairman of the Naval Affairs Committee of the House of Representatives. Together, Roosevelt, a former Assistant Secretary of the Navy, and Congressman Vinson made a formidable team. At the time, the Navy had fallen well below even the limits set by the Washington treaty. In 1935, Morison notes, the Navy had only 8063 officers and 82,500 men and the ships the navy did have had only 80% manning. 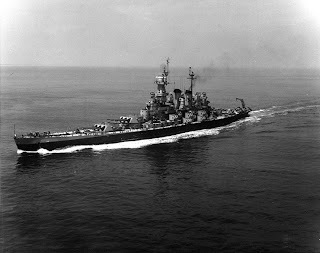 Vinson and Roosevelt got Congress moving - construction started on new cruisers, new destroyers, submarines and the carriers Enterprise and Yorktown, Eventually more new cruisers and numerous other ships were authorized and the battleships North Carolina and Washington completed. Things were not good, especially with respect to advanced bases, but things were better. 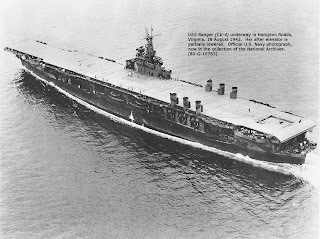 Earlier, under the treaty, the U.S. was able to design and build its first non-converted aircraft carrier, USS Ranger (CV-4), completed in 1934. Carl Vinson's service in the House of Representatives exceeds that of anyone elected to the Congress of the United States since it first convened in 1798. During his unparalleled tenure of fifty plus years, he also completed a record breaking twenty-nine years as Chairman of the House Naval Affairs and Armed Services Committee. In that position, Congressman Vinson forged and moved through Congress the landmark Vinson-Trammel Act which provided authority for the eventual construction of ninety-two major warships, the birth of the two ocean Navy. From Capitol Hill, he also guided the establishment of a separate air academy and the launching of the Navy's first nuclear powered submarine. Stating that, "The most expensive thing in the world is a cheap Army and Navy," Congressman Vinson became a powerful force in the growth of America's land, sea and air forces. 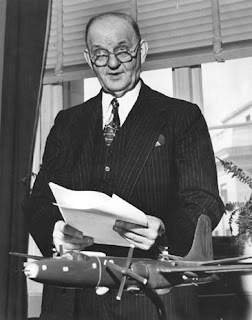 His skilled legislative abilities assisted in the creation of the Army Air Corps, the improvement of aviator and aircraft procurement, and the pre-World War II expansion of the Navy's air arm. Few men in American history have made so profound an impact on the nation's defenses. The crew of this aircraft carrier is proud to serve on the ship that bears his name and proud to honor his outstanding service to the United States of America. Congressman Carl Vinson of the Tenth Congressional district of Georgia and chairman of the House naval affairs committee has introduced a bill calling for construction of 120 ships at a cost of $616,000,000. The bill provides for a 10 year building program for the replacement of ships incapacitated for service from wear and tear and antiquated in construction. The provisions of the bill are in perfect harmony with the London treaty and have received the approval of the Navy general board. "This replacement Navy not only will be far more efficient and effective, but also less expensive to operate and maintain. This applies to both personnel and material, combatant ships and auxiliaries. "It reduces the number of ships and overall tonnage displacement at the same time tremendously increasing the fighting strength of our Navy. "It's generally understood but not thoroughly appreciated how far we're dropped behind other countries in naval strength since the World War (I) and particularly since the Washington treaty. "In ratifying the London treaty it was the general understanding that it was the policy of the country to build up to the naval strength permitted by that treaty. This problem is not a political question, but a national problem - namely, an adequate national defense - a first class Navy for a first class nation." While, of course, it's regular to hold hearings on such bills, it's not expected any serious opposition will arise in the committee. There should be no delay in action - a favorable report on the bill and its immediate enactment into law by Congress should follow. The Vinson program is one of great importance and interest to the United States. A stronger Navy and Army is highly important for the protection of this country and for the preservation of peace with foreign nations. Without a superior Navy and Army, entanglements with European countries may be expected. To preserve peace and good will between nations, it's absolutely essential to build up our Navy and Army above the peer of other nations. Peace is desirable at all times, but peace at any price is an expensive sacrifice and becomes stultifying to self-respecting nations. Therefore, the 10-year naval program of Congressman Vinson should be passed immediately and without amendments, unless the amendments provide for an increase and not a decrease in shipbuilding. Carl Vinson, Georgia Congressman, was one of the most important and influential individuals in naval affairs. He not only mastered the traditions, processes, and rules of the House of Representatives where he served for a half century, but also acquired a vast and detailed knowledge of naval matters (and later the armed services in general) and displayed consummate skill in drafting and managing legislation designed to modernize and strengthen the Navy in particular and the armed forces and national defense in general. 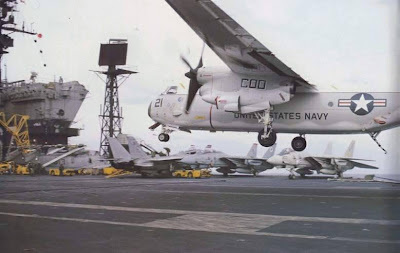 More from Sea Power, a book review of CARL VINSON: Patriarch of the Armed Forces"
On March 15, 1980, Carl Vinson was the first man to watch the launching of a ship that bore his name. Simultaneously, a generation asked of the little-known congressman, "Who is Carl Vinson?" Vinson once wrote, "It takes genius to commit the story of a crusty old man like myself into something readable." But James F. Cook, professor at Floyd College, ingeniously offers Carl Vinson: Patriarch of the Armed Forces to challenge that precis, despite the fact that Vinson himself left few traces of his legacy - never providing an autobiography, keeping a journai or preserving his private papers. A product of a classic rural curriculum in Georgia that eventually led him to law school, Vinson always felt destined to represent his home district in Congress, according to a classmate. This prophecy was realized in November 1914, 15 days before his 31st birthday, when he began his service as the youngest congressman to date. Two years later, he proclaimed, "No government which fails to provide for its own preservation against the assaults of every probable foe is entitled to the support of its people." With this mantra governing his life, he served for a half-century fighting, with all of his heart, for the security of the nation. Over the years, his influence grew and his dynamic speeches and passionate governance led him to serve on the House Naval Affairs Committee. He was drawn to this particular committee because "he expected sea power to grow in importance," Cook writes. Vinson earned the title "Father of the Two-Ocean Navy" during the 1920s and '30s, a period when America was more focused on "disarmament and isolationism than [on] preparing for war." During this period, he served as chairman or ranking minority member of the Naval Affairs and Armed Services Committees. Perhaps the zenith of his clout was realized on Jan. 5, 1938, when "The troubling international situation had prompted [President] Roosevelt to summon Vinson ... to the White House for a conference" on Adolf Hitler's rapid naval armament, a tremendous threat to U.S. security. Vinson, who co-authored the Vinson-Trammell Act of 1934, demanded that the United States expand its construction of battleships and aircraft carriers to make the U.S. Navy "a Navy second to none" by increasing "the total tonnage of the Navy by 20 percent," he said. This was a controversial move at the time. "Critics called him a dictator," Cook wrote. But Vinson, who insisted that his committee meetings be held publicly, efficiently conducted the meetings of the Naval Affairs Committee. During the battle for funding, Vinson rapidly emptied his witness chair in a controlled and orderly fashion. Ultimately, Vinson delivered on his promise and commitment to build two additional battleships, construct two more cruisers and provide $15 million for new types of small ships. Additionally, he fought for and realized plans to build a fleet air arm of 3,000 aircraft. "I do not advocate a Navy to rule the waves, but I do believe our country has a tremendous responsibility in helping to preserve the freedom of the seas for peaceful commerce. "Our Navy is and must remain our first line of national defense. Our prosperity depends upon our ability to import raw materials and to export our produce and manufactured materials." Similar words live on in our current Maritime Strategy. That's who Carl Vinson was." Authorities paid pirates a ransom of $1.2 million to win the freedom of a Spanish fishing boat and its 26-member crew seized off the Horn of Africa a week ago, a Somali official said. The pirates released the ship Saturday, authorities said. The crew was freed after Spanish authorities paid a $1.2 million ransom, Abdi Khalif Ahmed, chairman of the Haradhere local port authority in central Somalia, said late Saturday. However, Spanish officials did not confirm payment of a ransom and said only that there had been negotiations for the crew's release. If reports of the ransom are true, the waters off Somalia are a little bit more dangerous today. Somali Pirates: Captured pirates get "life"
Seven pirates have been given life sentences for seizing a United Arab Emirates ship last week by a court in Somalia's northern Puntland region. Another four were given similar sentences for helping the pirates. They were convicted of "taking people hostage with the aim of obtaining a ransom" a local official said. Ripley on the bridge, Yost on the river, Holloway in the Surigao Strait, and many more. Thank you, USNI, for preserving these bits of stories of these men and women and for sharing them with us. Spain said Saturday that a Spanish fishing boat carrying 26 crew which was seized by pirates off Somalia has been released, but there was no indication whether any ransom was paid or if military force was used. "The fishing boat Playa de Bakio has been released" and is heading towards "safer waters" in the Seychelles escorted by a Spanish frigate, Spain's Deputy Prime Minister Maria Teresa Fernandez de la Vega said. She told a news conference the crew comprising 13 Spaniards and 13 Africans are "in perfect health". There's a joke ( I entered your name into a 7 day cruise!) 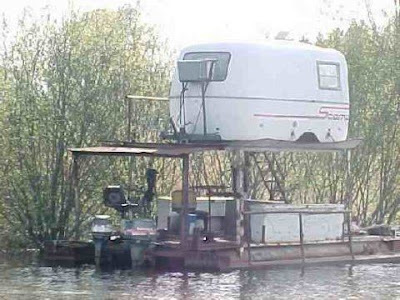 making the rounds featuring this delightfully inventive houseboat/mobile home combo. 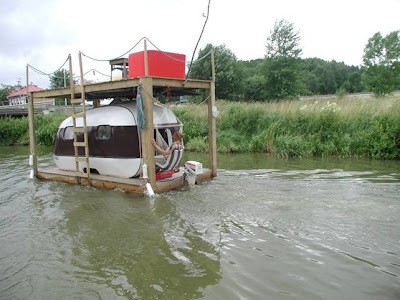 The joke contains the premise that the boat is associated with the trailer trash culture of the American South. Not to defend that culture too much, but to me the boat portion of the joke looks like it's floating in European waters. Based on what you see in the photo (which can be enlarged slightly by clicking on it), where would you place the alleged "Dixie Belle?" While the foam and steel-cable barrier might not look like much, port authorities say they hope it will serve as a deterrent to small boats that could pose a threat to cruise ships and cargo vessels passing through the port. 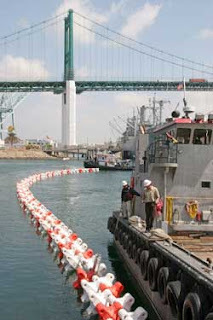 "The barrier stops the vessel, then forces it to bounce back," said George Cummings, director of homeland security for the Port of Los Angeles. "It's not intended to do damage to a boat," he said. "We just want to stop it and keep it from going where we don't want it to go." Port officials purchased 5,000 feet worth of the barrier with funds from a federal Department of Homeland Security grant, according to port spokesman Gordon Smith. Port officials said they hope the new security barrier will prevent a terrorist attack like the one in Yemen that killed 17 American sailors and wounded 39 others when a small boat laden with explosives blew a large hole in the USS Cole on Oct. 12, 2000. "There isn't an imminent threat here, but the cruise terminal could be targeted for an attack, so it makes sense to test out the barrier here," Smith said. "It's also a good place to test the equipment without disrupting terminal operations at the rest of the port." UPDATE: Fixed gremlin induced typo in title. A three-judge panel of the 9th U.S. Circuit Court of Appeals has upheld the conviction and 36-year prison sentence of a Chinese cook who was convicted in Honolulu of seizing a Taiwanese fishing boat and killing the captain and first mate in international waters south of the Big Island. The defense attorney for Shi Lei argued that the government had no right to arrest and try Shi, a Chinese national, under U.S. laws for a crime on a foreign-flagged vessel in international waters. But the appeals court panel, citing a section in the U.S. Constitution (Article I, Section 8, Clause 10) empowering Congress to pass laws against piracy on the high seas, upheld the conviction yesterday. "The acts with which Shi is charged constitute acts of piracy," Judge Diarmuid F. O'Scannlain wrote for the panel, "... and federal courts have historically accepted the notion that a pirate may be tried by any state." 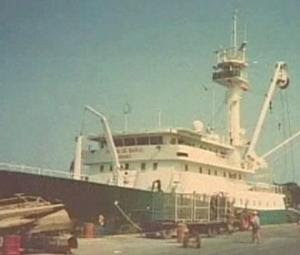 Dotson said Shi was prosecuted under a 1992 anti-terrorism statute that put a maritime safety treaty into law after Palestinian terrorists hijacked the Italian cruise ship Achille Lauro in 1985. Shi, 28, was found guilty in 2005 of three counts of violence against maritime navigation. Brady said this case is likely the first prosecution in the country under the maritime safety law. Shi was a cook on the fishing vessel Full Means No. 2 and had been at sea for a year in March 2002. Shi argued that he killed the captain and first mate in self-defense and testified they repeatedly beat and harassed him. After the stabbings, Shi ordered the second mate, at knifepoint, to take the ship back to China. Other crew members overpowered him two days later. 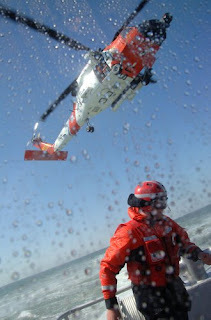 The U.S. Coast Guard intercepted the ship on March 19, 2002, about 60 miles from Hilo. The crew of the Westward Venture, which was under contract to the U.S. government, reported that it radioed a warning and fired flares before resorting to warning shots Thursday, the officials said. The ship carried a Navy mobile security team that is authorized to respond to perceived threats, as do all military-contracted ships in the 5th Fleet's area of command in the waters surrounding the turbulent Middle East and East Africa, the Navy said. The cargo vessel was en route to Kuwait and about 50 miles from the Iranian coast, according the reports. The Revolutionary Guard, part of Iran's military, says no such incident took place, according to the state-run Islamic Republic News Agency. Ok, no such incident took place. Really. We believe you. Really. Westward Venture photo from here. Photo by Neill Rush. Somali pirates: Not welcome at home? Pirates holding hostages on a Spanish trawler off the coast of Somalia are sailing deeper into the Indian Ocean after local residents threatened them, local witnesses said Thursday. The pirates took supplies from the port town of Haradere and sailed off headed for the deep ocean about 100 miles from the coastal area of Gaan, said an elder who asked not to be named. "Maybe they got rumors that Islamic fighters in the region were preparing to attack," the elder added. "We did not see the boat when we went for fishing today, I think they (pirates) moved to another place after getting threats from locals," Abduqadir Ahmed, a local fisherman, told AFP by phone from Haradere. He added that the pirates took supplies -- food and medecine -- on Wednesday night, an indication that they were planning to move. They can run, but no one expects the Spanish ... armada. Heroes in action in Xformed's A Date with Destiny - Part VII, which is, as you might gather, a continuation of his series on the fire on USS Bonefish in 1988 and how the crew and ship were saved. He links to the previous episodes and gets new information from some others who were on scene. CDR Salamander looks at a Hollywood actor who got France's highest honor for some work he did about 64 years ago in Fullbore Friday. Piracy severely impacts domestic economies, the international economy, and political stability. Disruption of the fishing industry harms local economies and leaves people more susceptible to further impoverishment. As pirate attacks worsen, states that do not effectively combat pirates lose their international reputations—companies are less likely to send their vessels both near these countries’ territorial waters and into their ports, and the lack of government protection decreases prospects for foreign direct investment and trade, which in turn causes the economies of pirate-plagued nations to suffer. Furthermore, pirates often use the money they obtain to arm rebel groups in the region. Recent evidence shows that Somali pirates often operate in league with local warlords or clans. In this way, the activity can become a direct threat to governmental stability. Despite the fact that almost every nation in the world utilizes global shipping, few nations actively police the seas. Even when international ships are sent to combat piracy, they do not have the ability under the UN Convention on the Law of the Sea (UNCLOS) to fight pirates once they enter territorial waters, leaving the pirates with easy escape routes. The problem is that Article 101 of UNCLOS defines piracy as taking place “on the high seas” and for “private ends.” The former is problematic because it restricts piracy to occurring only in international waters, while the latter fails to acknowledge piracy for political means such as terrorism. Due to concerns over these phrases, the United States has failed to ratify the treaty, decreasing the legitimacy of the agreement. Even though the UN, through the IMO, takes on the task of policing international waters, UNCLOS’ narrow definition prevents the organization from effectively combating piracy. Globalization increases every nation’s interest in high-seas security. The international community must step forward to combat piracy with tangible measures. The first and most obvious step that both the UN and individual nations must take to decrease piracy is to increase international patrols of the seas. According to Noel Choong of the IMB’s Piracy Reporting Centre, the increased presence of international naval ships, even without authority to enter territorial waters, will likely deter some pirates from operating. She carries it perhaps a step too far, however, when she suggests that the international anti-piracy task force she envisions be allowed, under UN auspices, to ignore concepts of sovereignty to pursue pirates into local waters. One is tempted to ask "Why stop there? So long as 'international powers' are cleaning up a neighborhood, shouldn't they go all the way? And just take over governing the states who cannot stop pirates from operating from their shores?" The logical consequences of such an international "sea policing department" are staggering,not to mention the unintended consequences, such as those seen off Somalia, where some war lords seem to be using foreign navies to punish other war lords, among other things. I think I prefer the U.S. Navy strategy of cooperation and training the forces of other countries to be able to clean up their own messes. Latest ICC Commercial Crime Services Wekly Piracy Report (to 21 Apr 08) here. 6.04.2008: 0640 UTC: 14:02.0N-050:35.9E: Gulf of Aden. A tanker underway was approached and trailed by two, 15-meter long boats. One boat had three persons in it and had a yellow hull. The other boat had five persons in it and had a white hull. Crew alerted and all anti piracy, preventive measures enforced. Ship took evasive manoeuvres. The two suspicious boats moved away and headed in a southwesterly direction. Ship reported to a coalition warship in the area. When warship arrived in the area, the suspicious boats disappeared. 16.04.2008: 0600 – 1000 LT: 14:26N-050:30E, Gulf of Aden. Five speedboats, with three persons in each boat, chased a bulk carrier underway. Ship took evasive manoeuvres, increased speed and crew mustered. 30 minutes later, the boats retreated and regrouped closer to the mother vessel 10 nm on a parallel course. Four hours later, the boats moved away. 15.04.2008: 0600 UTC: 14:35.8N - 050:55.7E, Gulf of Aden. Three speedboats approached a LPG tanker underway. The boats crossed the bow of the tanker several times. Master altered course and contacted coalition warship in the vicinity. After five minutes the boats moved away and stopped 2.5nm from the tanker. 14.04.2008: 1622 UTC: 15:17N - 052:23E, Gulf of Aden. Four speedboats approached a tanker underway. At 3nm master altered course and the boats moved away. proceeded towards the other speedboats (Operator). crafts were approaching the vessel from the port bow at a distance of 3NM. The vessel circulated to evade confrontation, and the suspicious crafts moved away. Vessel resumed course (Operator). no indication that these boats were associated with the two suspicious crafts (IMB, Operator). course towards the vessel at a closest point of approach (CPA) of less than half a nautical mile. The vessel changed its course to increase CPA to 2NM but the suspicious craft was closing in. the dark. The vessel resumed original course (Operator, IMB). 9. 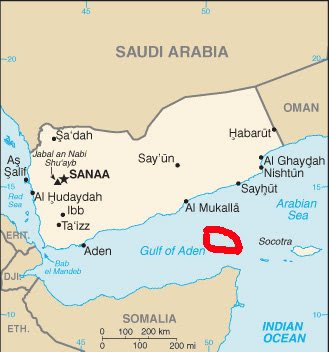 GULF OF ADEN: Vessel reported suspicious approach 07 Apr 08 at 0900 local time while underway in position 15:06N-052:55E, 74NM southeast of Qishn, Yemen. One fishing boat approached the vessel. The boats showed white flags and asked for food. The vessel activated fire hoses. After 30 minutes, the boats moved away (IMB). UTC, the speedboat altered course. There were no other boats in the vicinity. The master reported that they were not chased, but reported this as suspicious because the speedboat was paralleling at a distance of 2.2NM. The speedboat made no aggressive moves toward the boat and after one hour headed towards shore (Operator). terrorists died during the attacks and one solider received injuries (LM: army.lk). 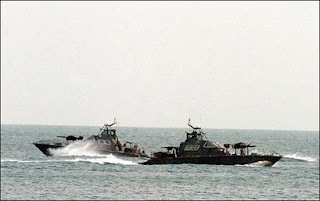 were able to prevent the movement of a cluster of Sea Tiger boats from Nayaru to the Pulmudai area by firing on them using the Navy’s FAC (LM: Ministry of Defence, Daily Mirror). added that all three members of the Black Tiger suicide squad were killed as well. According to the LTTE, the firefight lasted up to 45 minutes. However, survivors of the incident said they did not see any LTTE vessels in the vicinity with the naked eye or electronically and there was no confrontation with the rebel group, suspecting that the sea mine caused the deadly explosion (REUTERS, LM: Thaindian News (IANS)). As I've said before, the introduction of sea mines into this ugly war may cause more focus to be put on it by the international sea community. Although the headline says "Puntland Will Execute Captured Pirates", such a severe penalty is rare. Security forces in Somalia's northern state of Puntland stormed a hijacked ship Tuesday, safely releasing hostages and arresting the seven pirates on board, the region's security minister said. Abdullahi Said Samatar, the security minister in Puntland, told reporters at the port of Bossaso, the region's commercial hub, that 100 soldiers and several armored boats took part in the rescue effort. He stated that of the seven captured pirates, three were wounded during a brief skirmish with Puntland security forces. The captured pirates were transported out of Bossaso port and are being held under heavy guard at a discreet location, informed sources said. Mr. Samatar told journalists that the government of Puntland will charge the captured pirates in court, where they will face the death penalty. No criminal convicted of piracy has ever been executed by the Puntland government to date. The appropriate lines from HMS Pinafore might be: "What, never?" "Hardly ever." The U.S. and France are drafting a U.N. resolution to battle pirates off Somalia's coast. France's U.N. ambassador says the resolution would authorize foreign governments to chase pirate ships, make arrests and prosecute suspects. He tells The Associated Press that it could take 1 or 2 weeks to enact because it has to be done by consensus. A group of suspected pirates hijacked a Somali-owned ship off of the country's northeastern coast, government officials said Monday. The ship, al Khaliij, left a port in the United Arab Emirates and was approximately 11km from the port of Bossaso, a commercial port in the self-governing Somali state of Puntland, when pirates opened gunfire on the ship. Said Adan Yusuf, a representative of the ship's owners, confirmed to Garowe Online that pirates had boarded and taken control of the ship. He stated that the ship was transporting equipment and other materials to Puntland when pirates took control. 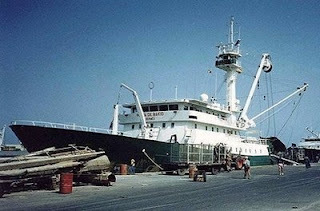 Puntland Commerce and Industry Minister Abdisamad "Abwan" Mohamed confirmed that pirates hijacked the commercial ship. But the Commerce Minister accused "employees at Bossaso Port" of being complicit in the hijacking, saying: "They [employees] did not take any measures to stop it [hijacking]." According to Minister Abwan, Puntland security forces have "surrounded" the hijacked ship. Security forces in northern Somalia stormed a hijacked ship Tuesday, rescuing hostages and arresting seven pirates, officials said. Three people were wounded in the operation, said Abdullahi Said Samatar, security affairs minister in Somalia's semiautonomous Puntland region. It was not immediately clear if the injured were hostages or pirates. The Dubai-flagged ship, which was seized Monday, originated from the United Arab Emirates, Samatar said. It was not immediately clear how many people had been held on the ship. Spain could stage a military operation as a last resort to rescue 26 fishermen whose boat was seized by Somali pirates in the Indian Ocean, press reports said Tuesday in Madrid. The Spanish frigate Mendez Nunez was on its way from the Red Sea towards the Horn of Africa, but government sources said its presence would be "dissuasive" and no military action was planned. 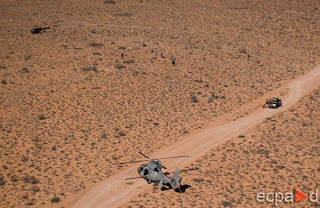 The daily El Pais, however, said the government was considering a rescue operation if it could not resolve the situation through other means, such as paying the ransom demanded by the pirates. The tuna fishing vessel Playa de Bakio was seized Sunday in international waters where it was attacked with grenade launchers by four pirates. The pirates are asking for a ransom for the 13 Spanish and 13 African fishermen. The vessel was being taken towards Somalia. Spain was waiting for the pirates to specify how much money they wanted. The Mendez Nunez carries marine infantry soldiers, including elite snipers, but a military operation would require the dispatch of a special operations group from Spain, according to El Pais. Spain has also contacted a NATO task force present in the area, in case it could provide any useful information. Piracy situations off Somalia have not been resolved through rescue operations so far, according to Spanish reports. There was, however, the possibility of paying a ransom and of arresting the pirates after the hostages had been released, a strategy pursued by France, which captured some pirates after they freed 30 hostages earlier this month. "I am the captain of the boat... we are all well and there is no problem, for the moment there is no problem," said Amadeo Alvarez, 55, the Galician skipper, speaking to Spanish national radio. He was interrupted by a man who identified himself as a member of a "Somalia militia" and said in broken English that there would be no problems if their demands were met. Details of the pirates' demands have not been made public but the Somali was heard to say: "It's a question of money." 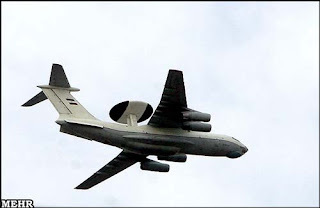 "The ministry of defence has alerted Nato and contacted France, Britain, and other allied countries with a military presence in the area," said Jose Luis Rodriguez Zapatero, the prime minister. The government said it was working with the African Union and Somali authorities to resolve the situation. 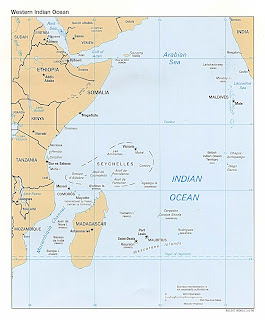 African, Middle Eastern and Asian nations have agreed to draw up a plan to combat piracy in the Indian Ocean in a bid to end the damage it is inflicting on maritime trade, the United Nation's International Maritime Organisation said. A cooperation agreement is the only way to keep open the shipping routes for tourists and freight, said Koji Sekimizu, the IMO's director of maritime safety in Tanzania. Sekimizu was speaking at the end of a week-long conference in Dar es Salaam to draw up a plan on how more than a dozen countries on the coasts of east Africa, the Gulf of Aden and the Red Sea can stop the rise in the number of armed attacks on ships. Maritime officials from Tanzania, Madagascar, Mauritius, Djibouti, Yemen, South Africa, Kenya, Comoros, Sudan, Somalia, the UK, Korea, the US, France and Egypt attended. The draft plan, which is not yet available for public release, commits nations to step up law enforcement, boost information sharing and improve statistical reporting on piracy, said Sekimizu. Fred Fry's Maritime Monday 107 at gCaptain.com. Fred has Eastwind Group shipping photos and scads of links. Some say John McCain's character was formed in a North Vietnamese prison. I say those people should take a gander at what John chose to do--voluntarily. Being a carrier pilot requires aptitude, intelligence, skill, knowledge, discernment, and courage of a kind rarely found anywhere but in a poem of Homer's or a half gallon of Dewar's. I look from John McCain to what the opposition has to offer. There's Ms. Smarty-Pantsuit, the Bosnia-Under-Sniper-Fire poster gal, former prominent Washington hostess, and now the JV senator from the state that brought you Eliot Spitzer and Bear Stearns. And there's the happy-talk boy wonder, the plaster Balthazar in the Cook County political crèche, whose policy pronouncements sound like a walk through Greenwich Village in 1968: "Change, man? Got any spare change? Change?" Read it all and argue with Mr. O'Rourke if you will. The U.S. Coast Guard says the bodies of 20 migrants have been recovered from the sea near the Bahamas. A search-and-rescue mission began Sunday after fishermen heard people screaming in the water. Coast Guard spokesman Barry Bena said Monday that three survivors have been found, as well as 20 bodies. Nineteen were Haitian and one a Honduran. Authorities are interviewing the survivors to determine what happened and are continuing the search. People seeking a better life and willing to risk their lives to find it. Heavily armed pirates Monday attacked and damaged a huge oil tanker off the Somali coast using machine guns and rocket-propelled grenades, a Malaysian-based maritime watchdog said. Noel Choong, head of the International Maritime Bureau's (IMB) Piracy Reporting Centre, told AFP that the attack, believed to be by Somali pirates, took place under the cover of darkness at 0230 GMT in the Gulf of Aden. "Pirates on five speed boats attacked the tanker, the size of a football field. It was a night raid. A missile-like rocket was launched at the ship. Initial reports said the ship suffered some damage," he said. "I believe the Somali pirates could have used rocket-propelled grenades and machine gun fire on the tanker with the aim to board and possibly hijack her," Choong said. "But the tanker increased speed and managed to prevent the pirates from boarding and taking control of the oil tanker," he added. Around 10:10 a.m. Japan time (4:10 a.m. local time) on April 21, 2008, a small unidentified boat about 440 Kilometers east of the Yemeni city of Aden approarched the NYK VLCC Takayama and fired some form of munition. According to a report from Takayama, the unidentified boat sped away at 11:03 and has not been seen since. 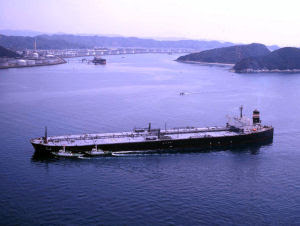 Takayama was on a ballast voyage to Yamboo in Saudi Arabia from Ulsan, Korea from which the tanker departed at 2:40 a.m. on April 4. No injuries were reported. Navigation remains unaffected, and possible damage to the tanker is still being investigated. Yemeni coastguard officials said the tanker was about 145 kilometres off the south-eastern Yemeni port of Mukalla when it came under attack. The pirates had fired a rocket at the ship after they failed to seize it, the officials said. Nippon Yusen KK said none of the 23 crew - 16 Filipinos and seven Japanese - were hurt in the attack. The ship, which has a capacity to carry around 2 million barrels of oil, was empty at the time of the 04:40 am (0140 GMT) attack, the company said. Yemeni coastguard forces had 'freed the Japanese oil tanker from Somali pirates,' Yemen's official Saba news agency reported, but the German Navy later claimed the credit. The tanker Takayama had sent out a radio distress call, 'Tanker has been shot at and hit by armed boat,' the German armed forces said near Berlin. 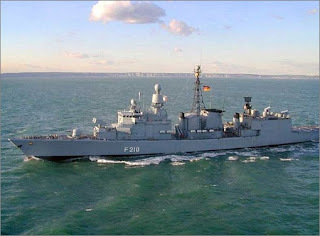 The Emden, a German frigate patrolling the Somali coast as part of Operation Enduring Freedom, picked up the distress call and headed straight to the scene, sending a helicopter ahead to reconnoitre. The pirates had fled in their speedboat by the time the Navy helicopter arrived at the scene, said a spokesman for the operational command at Potsdam, near Berlin, adding that the mere threat of naval force had been sufficient to make them flee. The spokesman said Monday's operation was covered by the doctrine of offering assistance to a ship in distress, which permitted aid in case of immediate threat to life or when other authorities were not helping. Western navies have not mounted a campaign against piracy since they do not have a legal mandate to fight the pirates. Emden (pretty famous name in German naval history -and in Australian naval history, too, for that matter) is a Bremen class frigate. Somali Pirates: Spanish boat captured? A Basque tuna boat, "Playa de Bakio" carrying a crew of 26 has been taken over by pirates off the Somali coast. The statement was made by a spokesman from Spain's foreign ministry. There are thirteen Spanish nationals and thirteen African crew-members on board the boat which was seized by pirates about 400 km off the coast of Somalia on Sunday, public radio RNE reported earlier, as did AFP. According to the radio report, the boat is heading to Somalia. This is while a source from the Basque government's Agriculture, Fisheries and Food department told the Spanish news agency, Efe, that four armed pirates took control of the boat using grenade launchers, BBC reported. The source said the boat suffered "some damage" in the attack but was "navigable". The Playa de Bakio "was boarded and apparently seized while it was fishing in Somali waters" at 1:00 pm (1100 GMT), the ministry said in a statement. Thirteen of the crew are Spanish nationals, it said, while Spanish media reported that their remaining 13 crewmates are African nationals. Four pirates armed with grenade launchers seized the boat, which is based in the Basque town of Bremeo, some 400 kilometres (250 miles) off the coast of Somalia, Basque government officials told the Europa Press news agency. The ship was damaged in the attack but it is still able to sail and it appears to be headed towards land, they added. "The defence ministry has instructed one of its ships which is nearby to head immediately to the area of the incident," the foreign ministry's statement said. A Spanish military frigate that was in the Red Sea was heading towards the are where the fishing boat was seized, a government source said. The defence ministry has also been in contact with military officials of nations with a military presence in the area to request "logistics support and help in locating the affected boat, the statement added. CDR Salamander: Fullbore Friday on the WWII Samuel B. Roberts. Steeljaw Scribe honors the 66th Anniversary of the Doolittle Raid. Somali regional rulers Thursday demanded compensation for civilian deaths they say occurred during a French military operation against suspected pirates last week. They said three herdsmen were killed during the operation that followed the release for ransom of a 30-strong luxury yacht crew and insisted four of the suspects captured by French troops weren't pirates. "We are not complaining about the operation against the pirates, but we are talking about civilian casualties," said Abdiaziz Yusuf Harin, Puntland's Jariban district commissioner. "Three herdsmen died in the area during the raid." Harin also demanded compensation for a vehicle destroyed during the raid, saying it didn't belong to the pirates. The official didn't specify the amount of compensation being sought. Officials from Somalia's semiautonomous northern region of Puntland said only two of the six suspects captured were pirates. "They arrested six people whom we heard are awaiting trial, but we can confirm that four of them are innocent," Harin said. "They were not involved in piracy. "There are two people confirmed to be pirates among the six. The other four were khat (mild narcotic leaves) traders selling their goods to the pirates," when they were snatched, said Dahir Abdulkadir Ahmed, the governor of the Mugug region where the operation was carried out. "We call on the French government to release the innocents and charge the two pirates," he said. Judging by the terrain, if three goat herders were killed in that area, they must of been the three unluckiest men then alive to be in that area at that exact time. I note that instead of hanging the pirates from the nearest yardarm, France is waiting for Somali permission to try the pirates in France on charges of "organized criminality." As previously noted here, these pirates were taken in Somali territory and not the high seas, although seemingly with the permission of some form of the local "government." "...all parts of the sea that are not included in the exclusive economic zone, in the territorial sea or in the internal waters of a State, or in the archipelagic waters of an archipelagic State." I assume the argument will be made that France's arrest was illegal. France, on the other hand, can assert they had permission to be there, that the "arrest" had to be on the beach for the protection of the hostages, and that in point of fact, that part of Somalia is in the words of Art 105, "outside the jurisdiction of any State." Or France could simply ignore "international law." Who's going to punish France if it does? The yardarm would have been easier. Somalia's President Abdullah Yusuf Ahmed said Wednesday he would authorize international measures to fight pirates on high seas that have seized relief goods and recently a French luxury ship and passengers off the Somalian coasts. Ahmed attended a UN Security Council's debate on ways to help the African Union in its missions of peace throughout the continent. He said his war-torn country is confronted with too many internal problems. "Since Somalia cannot at the moment guard its vast coast, we would want to authorize the international community to take action and combat piracy at the high seas of Somalia until we can effectively undertake the security of our territorial waters," Ahmed said. The French government has proposed a naval group to deter attacks by pirates off the Somalian coasts, where pirates seized the luxury ship. Somalia officials previously had asked the U.S. to help patrol its Exclusive Economic Zone for violations by international fish poachers, as set out here. See also this post and the links therein. He also called for the deployment of a UN peacekeeping force with the mandate to help Somalia's transition government achieve "fuller reconciliation, stablization, disarmament and durable peace." The UN force would also help Somalia in forming security institutions for the government, including police and intelligence. If you don't control your shores or your interior, what are you? UPDATE2: VOA has a series on "failed states" here, here,here, and here. As usual, the liberal answer is to dump money on them. Democratic U.S. Congressman Adam Smith says infrastructure projects make a difference in a country's recovery. "There are businesses out there that are successful, but a lot of the time, they had to get a road built by the government in order to make sure they had the infrastructure," he said. "They had to get a fiber-optic built. They had to get bridges built. So I think assistance does help these countries become less failed, if you will, and prosperous." Iran: Supplying Gaza with Weapons from the Sea? ran has stepped up its efforts to smuggle weapons into the Gaza Strip by using floatable devices that it drops near the waters off the Gaza coast to be picked up by Palestinian fisherman, senior defense officials have told The Jerusalem Post. Navy ship catches Palestinians trying to smuggle explosives into Gaza. 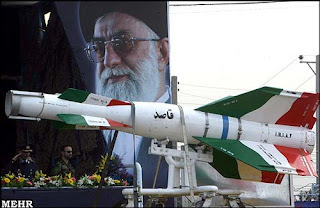 According to defense officials, Iran is now sending rockets and other advanced weaponry to Hamas and Islamic Jihad in the Gaza Strip by sea as well as via tunnels dug under the Philadelphi Corridor and connecting the Sinai peninsula with Rafah. Officials said that the Navy is doing a fairly effective job in curbing the smuggling by sea, but that there are some shipments Israeli forces did not succeed in intercepting. "They throw the weapons overboard in waterproof, sealed tubes which then float into the Gaza waters and are picked up by fishermen," one official said. "Sometimes Navy boats intercept them and sometimes they get through." In recent months, the IDF has noticed an increase in Iranian-made weaponry in the Gaza Strip, including rockets and mortars. Terror groups in Gaza recently were equipped by Teheran with two different types of mortar shells made in Iran - one 120 mm with a range of 10 kilometers like a Kassam rocket and another with a range of six kilometers. Defense officials told the Post that in recent weeks thousands of mortars have been smuggled into Gaza. In addition to providing weaponry, Iran is also training Hamas and Islamic Jihad terrorists, who have used the periodic openings at the Rafah Crossing with Egypt, as well as the collapse of the border with Egypt in January, to travel to Iran and train there in terror and guerrilla warfare. Officials said the weapons could take several routes from Iran to Egypt. 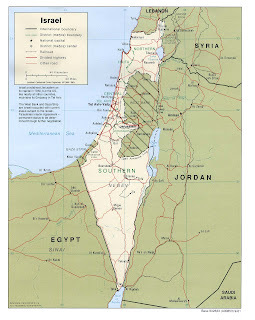 One possibility is that the weapons are taken by boat from Iran to Egypt and then are smuggled into Gaza through tunnels or thrown into the waters off the coast and near the border. Another possible route is that the weapons are transferred by Iran to Syria, and then to Lebanon, where Hizbullah ships them by boat to Egypt. 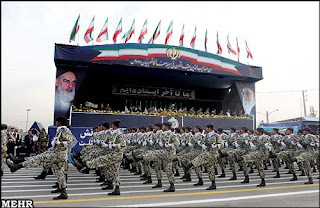 A branch of the Iranian Revolutionary Guards - called the Quds (Jerusalem) Force - is believed to be responsible for overseas operations, such as training Hizbullah and Palestinian terrorists and providing them with weapons. 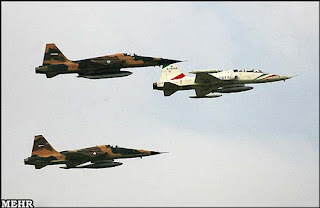 President Mahmoud Ahmadinejad on Thursday proclaimed Iran as the "most powerful nation" on earth as the country's air force showed off its prowess at a time of mounting tension with the West. "Iran is the most powerful and independent nation in the world," Ahmadinejad told a military parade outside Tehran marking the Islamic republic's annual Army Day, reaffirming one of his favoured slogans. Ahmadinejad said all the branches of the armed forces would react forcefully in response to any attack against Iran's soil and boasted that no one would dare to launch a strike on the country. "The army, the Revolutionary Guards and the Basij (militia) will resist with force and coordination and respond strongly to the slightest aggression," he said. "I am proud to announce today that the Iranian nation's power is of an extent that no major power can dare jeopardise the security and interests of the Iranian nation." To mark the occasion, dozens of fighter jets and other aircraft flew over the parade ground in a bid to show the power of the air force, which has struggled for years under the effects of US sanctions. Among them were US-made F4 and F-5 fighter jets whose construction goes back to the 1960s and 1970s when shah Mohammad Reza Pahlavi went on a massive military spending spree. Also shown were several Saegheh fighter jets which Iran says is a entirely home-produced model but Western experts classify as a derivative of the F-5. Among the weapons on display at the military parade was Iran's longer range Shahab-3 missile, whose range includes Israel and even the fringes of Europe. The model shown had a "baby bottle" nose for extra-dynamic efficiency and was labelled "Ghadr-1" although it was clearly a Shahab-3. A lorry carrying other missiles also carried the slogan "Death to Israel" while while "Death to America" had been written on another vehicle. I do have suggestion for the Iranian forces - they should replace their current identification markings with something like the nearby picture. By the way, a single US aircraft carrier carries about 85 aircraft. The U.S. Navy has about 3500 aircraft and in total the U.S. military has about 18,000 aircraft. UPDATE: Oh goodie! Iranian trolls! Canada gets tough with anti-sealing"pirates"
Somali Pirates: Not Home in Eyl?